Photos by Hailey Blog: Equip You Workshop GIVEAWAY! Asterisk Photography and I are hosting an awesome giveaway! Can you win your own giveaway? Because I want this camera ;) haha! We are celebrating our upcoming workshop by hosting a giveaway! 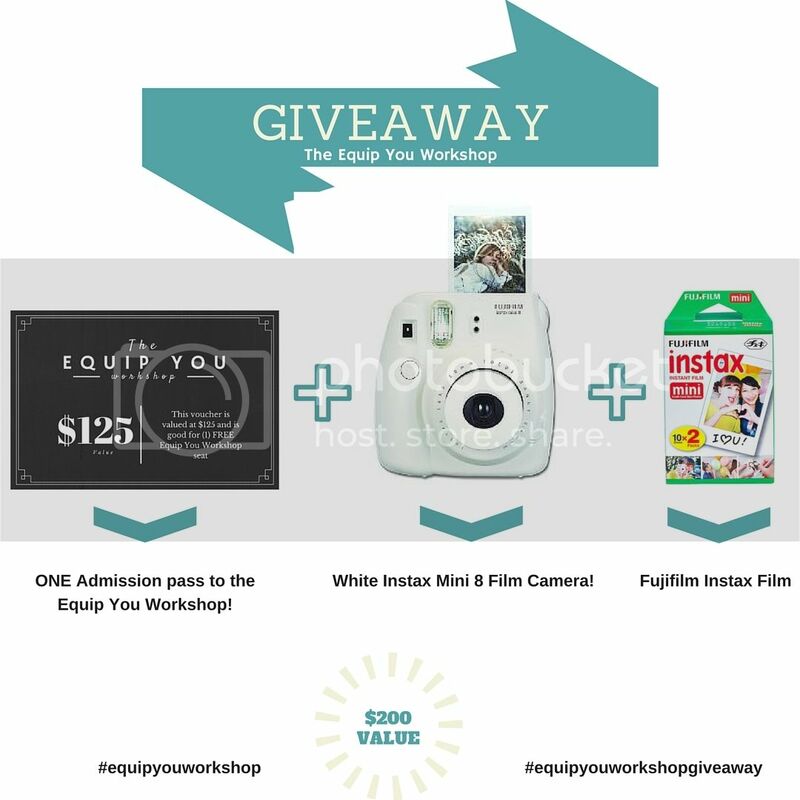 Enter to win a FREE seat at our workshop (January 23, 2016), AND Fujifilm Instax Polaroid camera, AND film ($200 Value!!!). 1. Like BOTH Photos By Hailey and Asterisk Photography on Facebook. 2. Share this post (and let us know!) on your wall. 3. Tag three friends who might be interested in the workshop. 1. Follow BOTH @photosbyhailey and @asteriskphotography on Instagram. 3. Tag three friends on Instagram that might be interested in the workshop. Giveaway end ends THURSDAY, Decemeber 17, 2015 @6 am (EST).